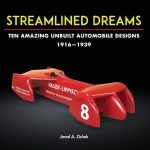 As time has rolled on and on over the years, my attention has been drawn more and more to the ground less well trodden, the roads less traveled by automotive racing historians. 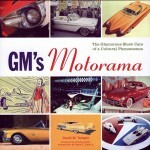 One place this has led me is the early decades of automobile racing in the United States. 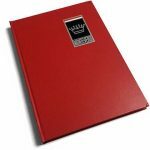 The first quarter century of American racing is certainly far more interesting and varied than most would imagine, yet there has scarcely been anything close to a bonanza of books on this period. 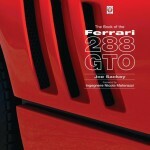 Books examining the history of early American automobile racing tend to be both very few and usually very far in-between. Books on the topic are, at best, scarce, with good books more often than not being rarities. It is important to note that Burns, a retired layer, uses contemporary primary accounts in his book, and secondary accounts only when necessary. Taking a look at the Bibliography shows that among those contemporary accounts there is a heavy reliance upon the Trenton and Philadelphia newspapers, along with the New York Times, as well as the automotive journals of the era such as The Horseless Age, Motor Age, and The Automobile. The reliance on the “first draft of history” does have it drawbacks, but it is far preferable to the usual over-reliance on secondary sources that seems to be standard procedure for works covering this era. Burns does have a few fumbles and stumbles with his facts and history at times, but manages to capture the gist of things. Among the things missing from Thunder at Sunrise are any of the results or lap tables or circuit maps of the races being discussed. This was—and still is—a curious omission. While not necessarily a fatal flaw, it is a flaw nonetheless. I recently pulled Thunder at Sunrise from the shelf as part of a research effort I was conducting. Once again, I found the chapter (no. 11, “Mr. Harroun Was a Fine Gentleman”) on the inaugural running of the International 500 Mile Sweepstakes quite wanting, relying heavily on an account of the event by Russell Jaslow that appeared on the Internet in 1997, that in turn was very much a retread of an Automobile Quarterly article from 1969 by Russ Catlin that also left much (a great deal, actually) to be desired. 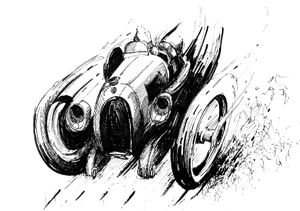 I also reread the chapter on the 1916 running of the Grand Prize race at Santa Monica. 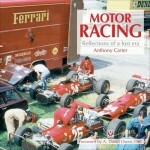 I found the account of the Aitken-Wilcox controversy somewhat generally accurate, but Burns leaves out the vital element in the precedent set at Indianapolis: that points could only be scored by either the designated driver of a car beginning a race or by a relief driver, i.e. someone not starting the race in another car. Something of a quibble, yes, but an important quibble if the point is going to be made; in other words, attention to historical detail. Almost by accident, I began to skim the book and realized that it actually serves as a very good introduction to these races for those not very familiar with the era. Judging the book on that basis, Thunder at Sunrise should take its place on the bookshelf of anyone looking for a good introduction to the era. 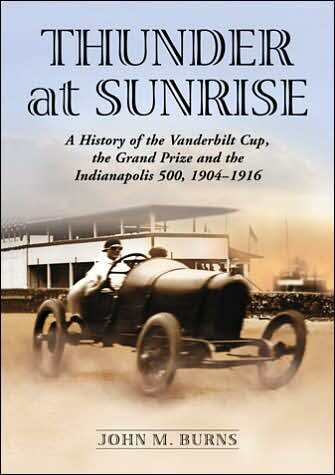 It should be kept in mind that Thunder at Sunrise focuses on the merest handful of events from this era, certainly the most familiar: the William K. Vanderbilt, Jr. Cup, the Grand Prize for the Gold Cup of the Automobile Club of America, and the International 500 Mile Sweepstakes. As such, Thunder at Sunrise does a credible job, despite the few reservations noted. Won the Thomas McKean Memorial Cup of the Antique Automobile Club of America.